Yatango Mobile is Australia's latest MVNO and runs on the Optus mobile network. Australia's newest telco is banking heavily on social networking integration and allows customers to build their own tailor made plans. Yatango Mobile, which launched in Australia earlier this week, is a mobile virtual network operator (MVNO) that uses the Optus network in Australia and is purely a BYO mobile, SIM-only option. The telco requires its users to sign up through Facebook but offers subscribers the chance to earn mobile credit by connecting with friends or signing up new members. 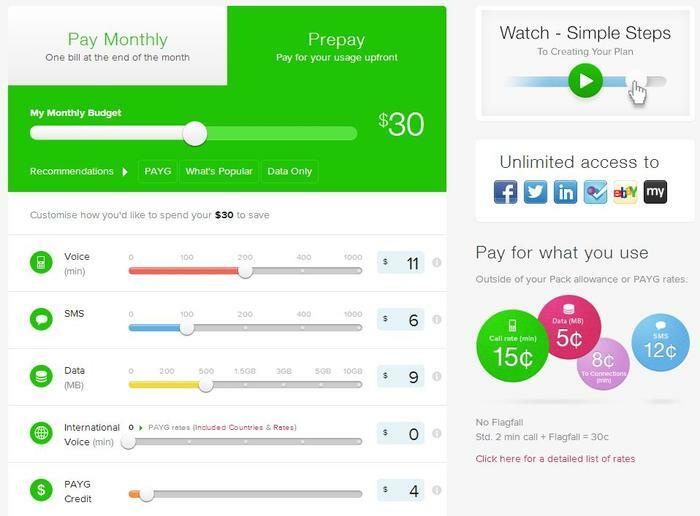 The biggest appeal of the telco appears to be a slider-based online interface that allows its customers to build their own personalised plan. 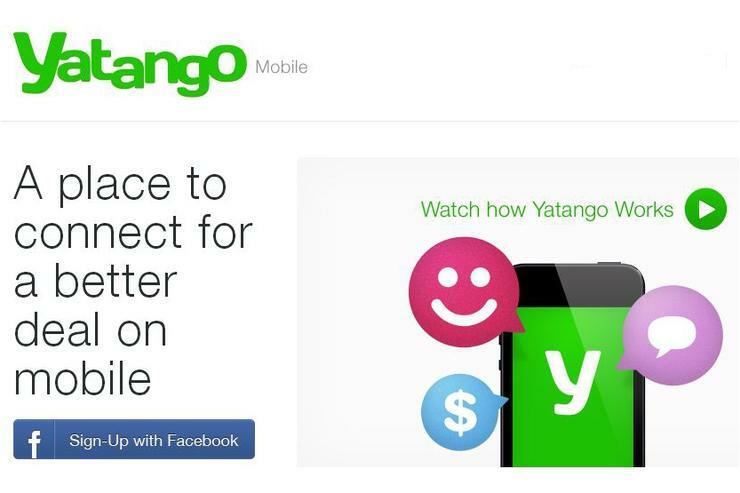 Using the sliders on Yantango's Website, users can adjust the amount of voice minutes, SMS messages, mobile data and international voice minutes every month. As an example, a $30 per month plan could be configured to offer 200 min of voice calls, 100 SMS messages and 500GB of data, as well as $4 to spend on any extra credit. The slider-based dashboard on the Yatango Website. These 'packs' of voice, SMS and data have a 30 day expiry but can be reconfigured at any time, month to month, with no lock-in contracts. Any changes made will take affect at that specific packs renewal date. Yatango offers both prepaid and post-paid billing options as well as a pay as you go (PAYG) option. Unlike other Australian MVNO's like Red Bull Mobile and Live Connected, Yatango doesn't sell handsets. The company says a 4G service is "coming soon" but hasn't provided a specific time frame. Yatango's founder and CEO, Andy Taylor, says the company "isn’t like the other big telcos". "We harness the power of social media to offer a personalised service and pricing system that’s dictated and driven by the community. In that respect, we view ourselves more as a technology company than a telco". "Our customers and their community have the power to shape Yatango pricing and tailor their mobile plan to suit them. Not only do they have the freedom to spend only what they want, but as the Yatango customer base grows, the cost saving is passed on to the whole community." Yatango will also rely heavily on its users to proactively answer customer service enquiries on its Website forum, offering 10 cents of credit for every customer service question answered correctly. The telco does not have a fully-fledged call centre, but "aims to resolve all customer complaints within 10 business days." Some conditions do apply, however. Yatango Mobile requires a $10 SIM card charge and a minimum $50 security deposit when you open an account. The latter will be refunded to your final bill when you leave the service and applies to 'pay monthly' accounts only, so it's not required for prepay. Features of Yatango Mobile, as advertised on the company's Website. PAYG rates are charged at 15 cents per minute to non Yatango users and 8 cents per minute when calling another Yatango users. No flagfall is charged for any voice calls. Data is charged at 5 cents per megabyte (MB), SMS at 12 cents each, MMS at 50 cents each and voicemail at 15 cents per minute. Finally, 19 numbers are barred and not available on the Yatango service while 13 and 18 numbers are charged at a rate of 30 cents per minute. The launch of Yatango Mobile comes at a time where low cost MVNO's are continually lowering their prices. Late last year, energy drink company Red Bull added a new post-paid plan to its mobile network that claimed to offer the most competitive rate in the Australian market. In December, Australian online store Kogan launched its own pre-paid mobile phone service, Kogan Mobile, which uses part of Telstra's network to provide low cost mobile coverage.